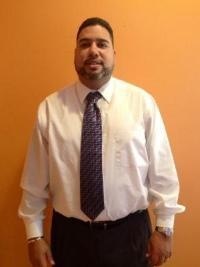 Israel Collazo was born in Puerto Rico and grew up in Brockton, Massachusetts. He attended University of Massachusetts-Lowell, where he received a Bachelor’s Degree in Criminal Justice and earned his Juris Doctorate from Massachusetts School of Law. He has practiced law in Massachusetts for ten years and presently resides in Brockton, Massachusetts. As a solo practitioner, he is responsible for maintaining and running a full-time legal office dedicated to and specializing in the representation of Lenders, Sellers and Buyers in Real Estate Transactions. He also specializes in representing consumer and business debtors in both Chapter 7 and Chapter 13 bankruptcy cases. Attorney Collazo is a member of the Massachusetts Bar Association, the U.S. District Court, District of Massachusetts, the Real Estate Bar Association of Massachusetts and the Greater Boston Real Estate Board.